The following post is sponsored by Me-Mover. For our sponsored post policy, click here. For us to love a workout it has to be a few things. So wanna know what the new workout is that meets this criteria and moves us — both literally and figuratively? It’s Me-Mover FIT! And, guys, it’s a blast. Plus, one heck of a workout. Kind of like a step machine that you can ride around on outside (yeah, just take a second to let it soak in how awesome that is), the Me-Mover FIT is ridiculously fun for people of all fitness levels. You can control the speed and it has variable gearing so that it gives you exactly the workout you want, is low-impact and it only takes a few minutes to learn how to ride. And did we mention it’s fun? It’s SO. MUCH. FUN. Even the dog is psyched about the Me-Mover FIT! 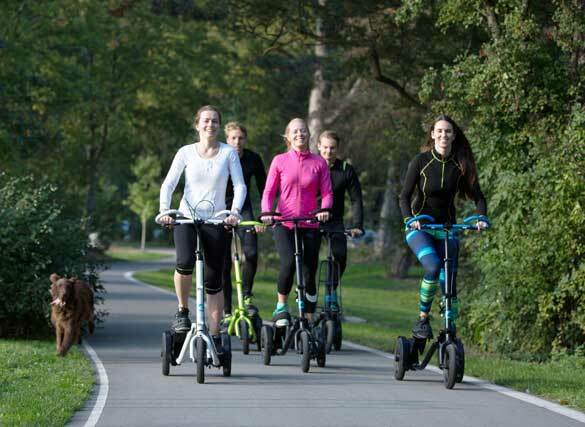 Because you can ride it kind of like you’d ride a bike (except the movement is more challenging, works more muscles groups and feels more like running or skiing when you do it — more on that in a bit), you can actually use the Me-Mover FIT to go places. Meaning that you can get a full-body workout while you run to the bank or grocery store or over to your friend’s house. And, because it works the majority of your major muscle groups, it gets your heart rate up and burns calories. Which is pretty much the best multi-tasking, ever. Just look at it in motion! So cool, right? Being on one is incredibly smooth feeling, and although there’s little impact on the joints, the movement actually gives you a 30 to 40 percent higher calorie burn than running. Depending on the pedal stroke and pedal position you use on the Me-Mover FIT, you can access different gear levels. For example, you’ve got heavy gearing at the bottom of the pedal stroke and lighter gearing at the top range. This allows you to change up your workout — and tackle hills like a boss. So, yeah. We are smitten with the Me-Mover FIT. It’s a fun and fantastic workout — and it takes you places. These just launched on Kickstarter, but expect for them to be everywhere and soon. They’re just too awesome. Check out more on the Me-Mover FIT here — and be sure to follow them on Twitter and Facebook. 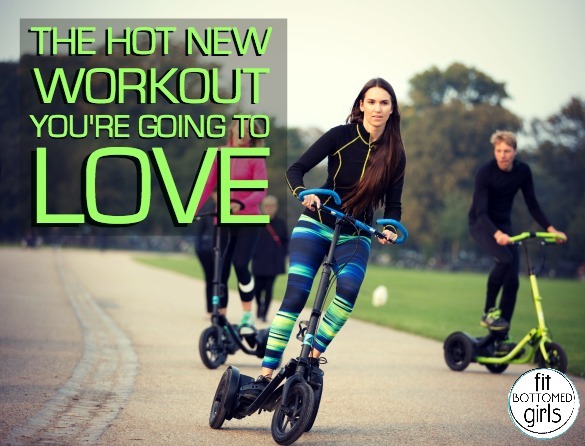 And definitely sign up to be the first one to get a Me-Mover FIT on Kickstarter!